Yesterday White Chicken was diagnosed. The real cause of her ill health was “internal egg laying.” There is no certain cause of internal laying, and no real cure. It means that a chicken’s yolks (ovum) begin to be deposited in her internal body cavity, rather than traveling down the oviduct, getting clothed in egg white and shell, and laid. After a week of nursing her on the dining room, thinking she looked better, it felt bad not to get to say goodbye and thank you. 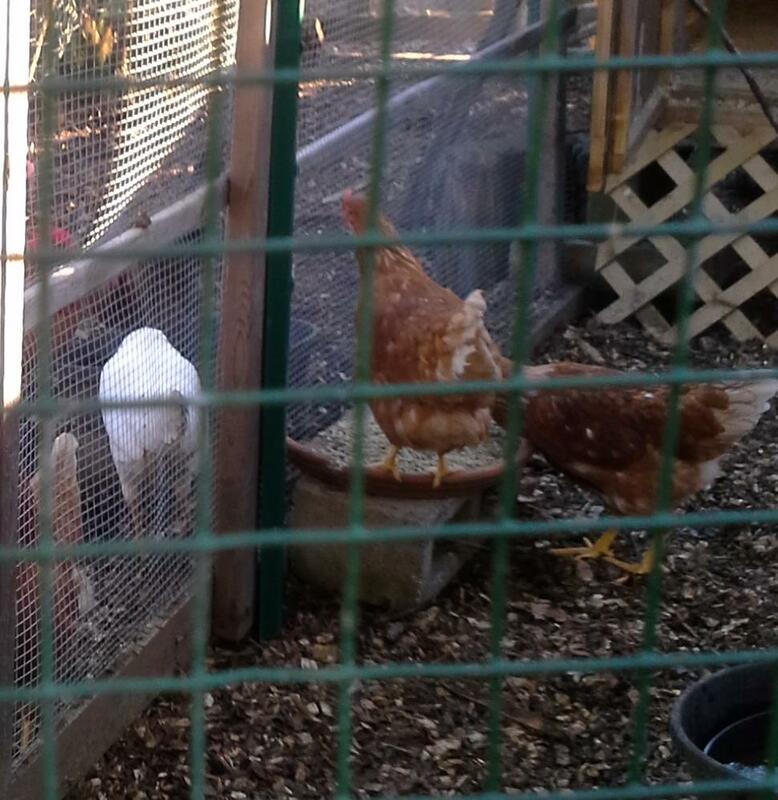 Thank you, White Chicken, for two solid years of laying an egg just about every day. 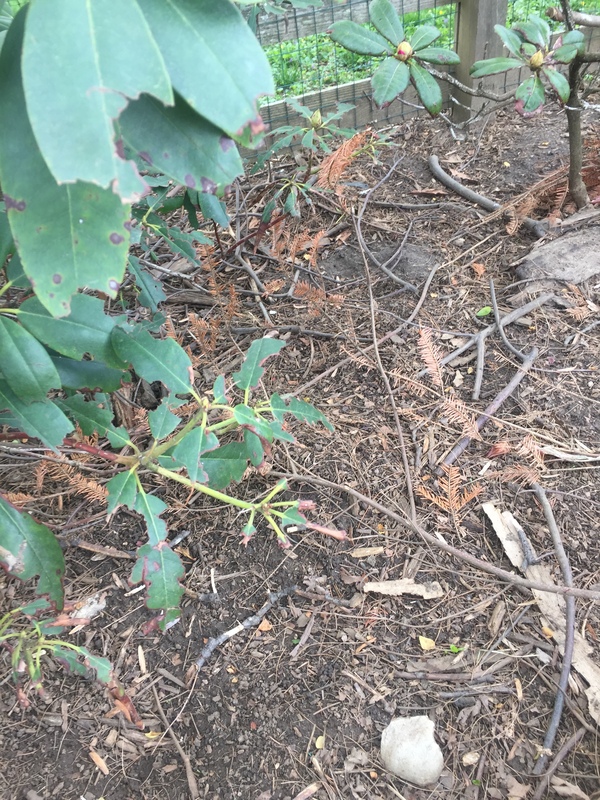 I always admired your ability to escape whatever fence I created, so you could go out and forage, but even more I admired that you could always find your way back in! White Chicken, you were unusually smart, and very independent. You got out where you wanted to go, but the fox never got you. You also perpetually thought I was about to kill you, and rushed around in near panic every time I came in with food and water. Last night it was comforting to read in my online search that the most likely cause of internal laying is genetics, or how the baby chick was raised or maybe handled. In any case, it wasn’t me. But still I felt sad all evening. 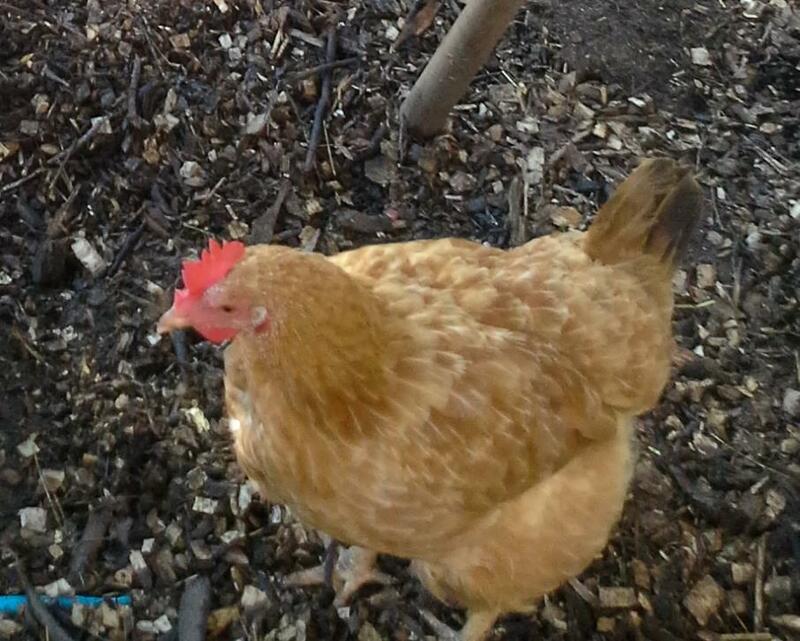 White Chicken was a really memorable, hard-working, nutcase hen. There is so much to know about animals — so much to learn about any living being you are trying to care for or love! Study is required to do it right. And paying attention. Listening. This October has been a month full of learning for me, in so many ways. Last night I de-loused the flock. (The vet found lice on White Chicken.) I held each hen on my lap and massaged the powder gently into their skin. At first they panciked, then I hope they enjoyed the attention. At least they should feel better free of parasites. Today I will clear and dust the whole coop. I generally think of myself as providing a good home to my chickens and dogs – but I guess the lesson is that one can always do better. There are always things to learn. Listen. 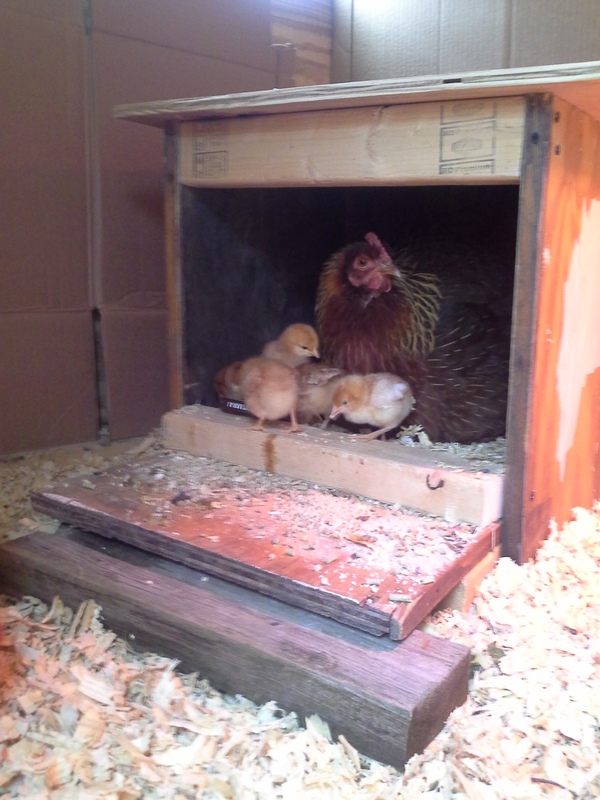 Yesterday I learned that my niece had a beautiful baby girl the night after White Chicken’s passing. This is such a comfort. I do not equate a chicken with a human life, still, there a beauty is the thought of a beginning of a life at the time of another life’s ending. I think, once I get to know my grandniece and see if she deserves the honor, I will add to her other beautiful names Liesel Eden the title Little Chick. We were at December 12th. Almost the darkest of the year. Although we had 13 chickens, we were getting only 5 eggs a day. Shucks. I hooked up some chili lights – a string of white Christmas tree lights with the occasional re plastic chili pepper popped over the bulb, looped over a stick inside the top of the house. I plugged it in before releasing the girls into their run and their grub. And then plugged it in again at dusk, as they were coming in to settle on their roosts. Wow. That night 9 eggs! Now we’re in business! Now we have eggs to eat and some to sell too, which pays for chicken maintenance. And if I forget to unplug, it isn’t so bad to run a short string of little lights for too many hours. 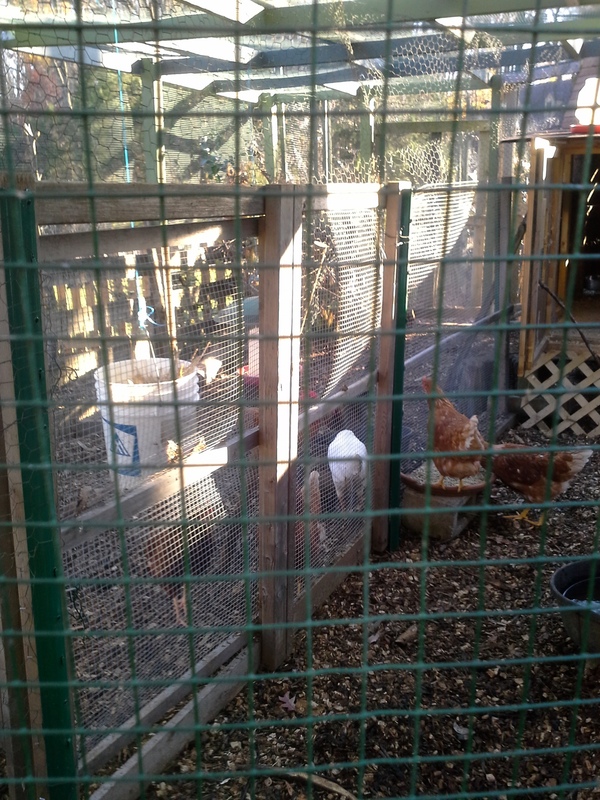 Do the girls enjoy the cozy warm glow of festive lights in their coop? I only know they seem content. Just don’t leave those lights on all night – chickens, like humans, need their dark time. But we really have had enough. We wanted our yard back, our lawn back. Our patio without poops on it, our flower gardens nicely covered in mulch, our straw mulched veggie beds mulched in straw. Instead of the lawn being covered in straw, the plants bare and broken by searching claws and beaks. An old classmate chatted with me at our last reunion and told me she thought of me every time she let her chickens out in the yard. And what she thought was “Yuck! how can she stand this? ?” Well, she can’t stand it any more. 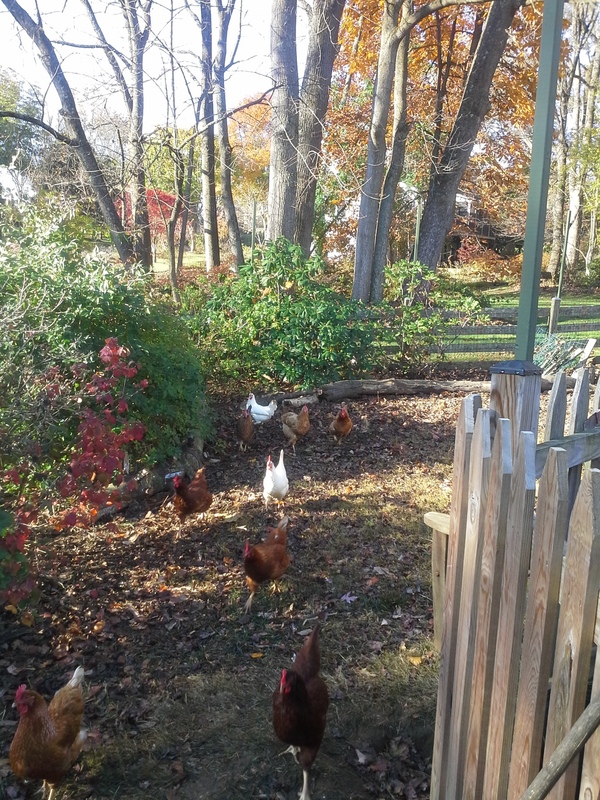 I was already heading in the direction of somehow containing and rotating my girls after reading Harvey Ussery’s recent article (Organic Gardening Magazine, Sept. 2014) about creating debris piles for his Icelandic chickens – “Icies” – who love to forage in debris. Ussery is all about sustainability – helping chickens access fresh natural foods rather than expensive, likely rancid, processed pellet. Chickens naturally prefer it. 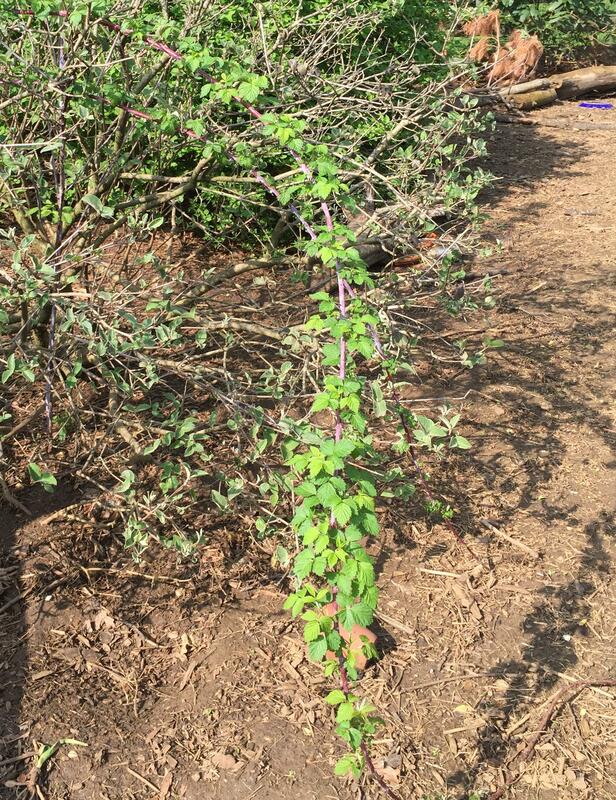 Then I came across Paul Wheaton’s blog about Chicken Paddocks – and that clinched it. 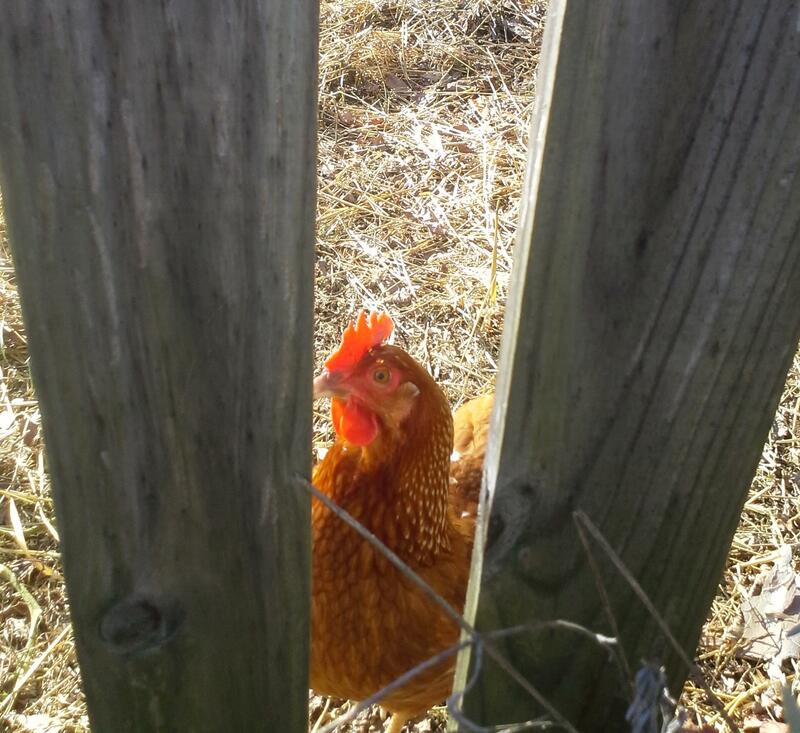 Paddocks combines all the things we want from and for our chickens. The point is to create a rotation for them, so they can be in a space with bugs, new actively decomposing debris piles, hopefully grass, and then be moved on to the next fresh one, before they are standing on a bare patch of mud. No animal wants to stand around all day on mud. Ok, earthworms. They can’t stay healthy in that setting. 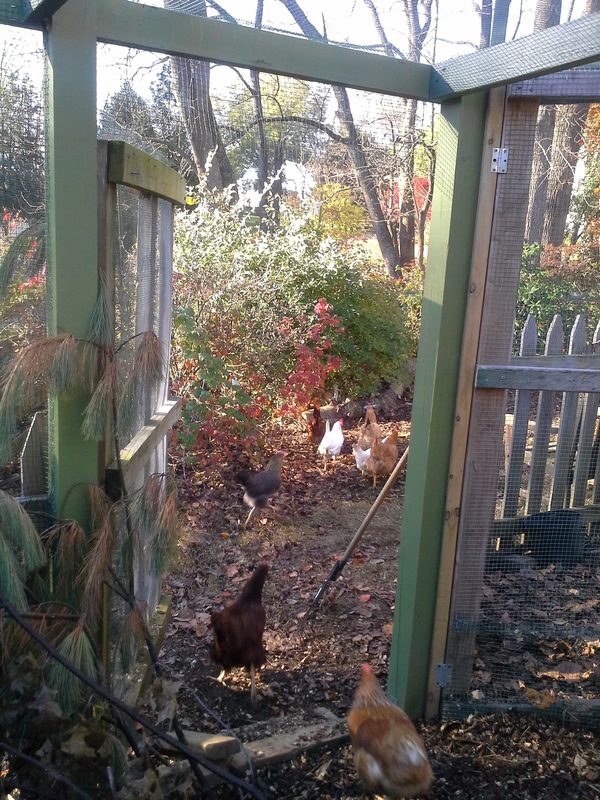 I am not willing to move my chicken coop and run around the yard – ours is permanent, at the center of gardens. 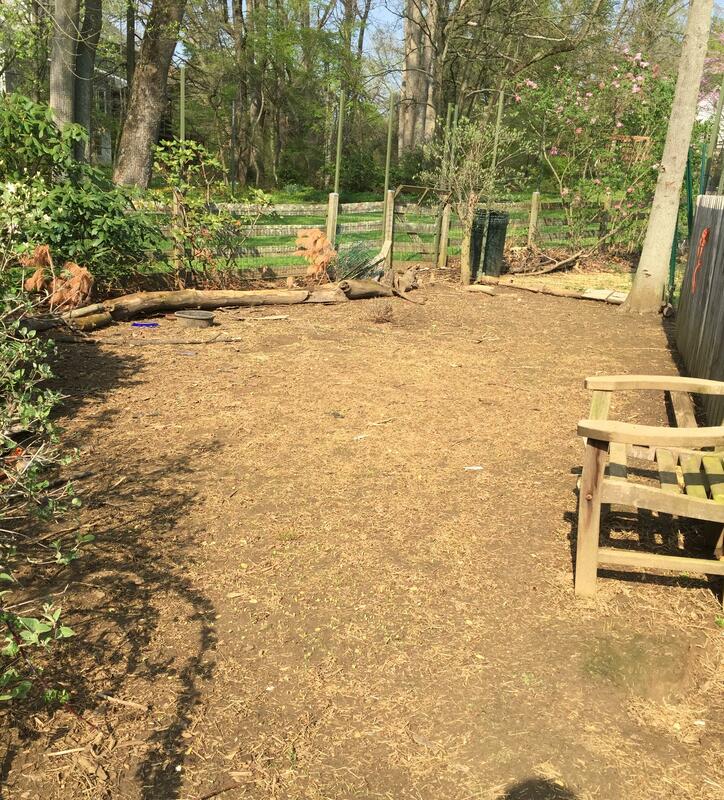 So our paddocks will encircle the run – and maybe we will get more creative in the summer. For now, they have three. 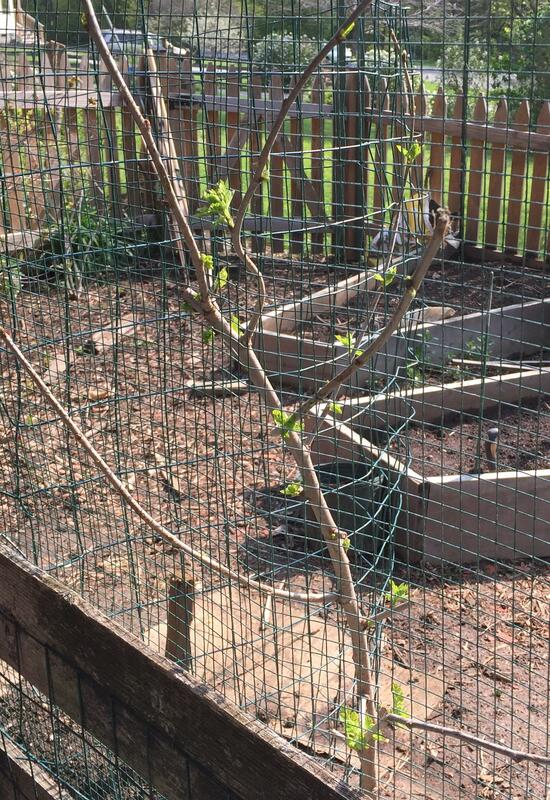 Edward and our 16 year old son Oskar, motivated by the idea of no more chickens mucking up the lawn, got right to it and have now fenced off Paddock One attaching tall 2x2s to existing fence and stapling plastic mesh to that. It’s about 10 feet high so the girls don’t just fly over it (ha-ha see ya sucker!) as they have tended to do. At least they always come back at night to roost. Our very patient neighbors are also relieved. 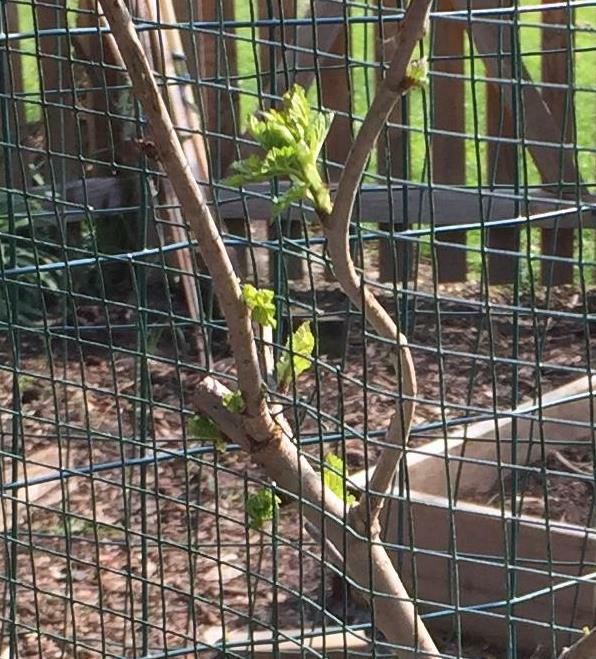 In a month, we’ll send them out into Paddock Two, which is our kitchen garden. No grass, but they LOVE to dig in the soft soil (any plants that are still active I’ll have wired over). I am going to cover all the pathways with heavy straw, and they love to kick straw around. Paddock Three will be the garden beds to the front. Any of these areas could be subdivided..we’ll see how it goes. 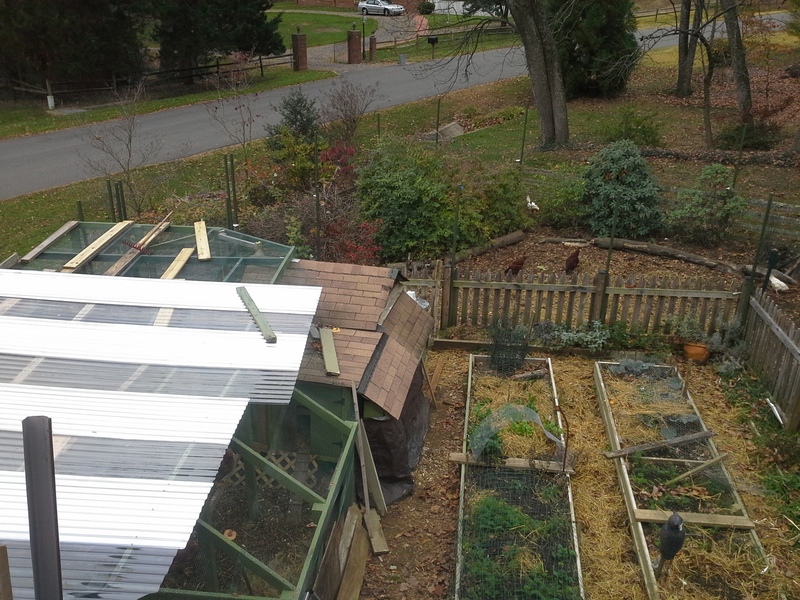 I can’t complete this post without admiring the new roof Edward has put over the run, so the hens will be dry as the winter weather starts in. Corrugated metal interspersed with corrugated plastic that will let the light through. 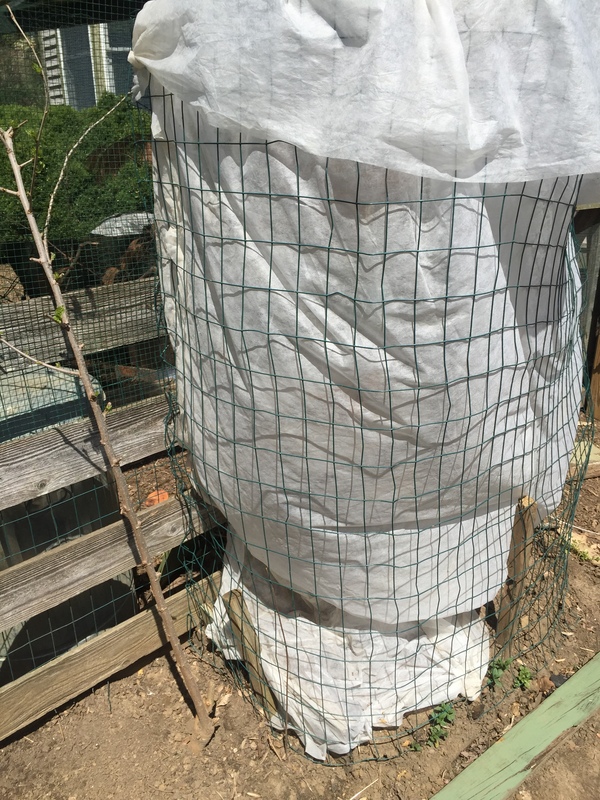 Last winter I spread layers of plastic sheeting over the top, and that was ok – until melting days, when a hundred tiny holes let all the drips through. I have a plan to collect that water into a drum, but let’s get it roofed first. Winter Vortex, we’re ready! !